Half the USA is single. Does anyone really know how to connect in today's world? Are you single? Do you want to date differently? Singles of all ages wonder why it’s so hard to meet, date and marry today. In fact, fifty percent of America is single and fewer people are committing to marriage, according to the Bureau of Labor Statistics, 2014. Dating has been replaced by “hooking up” and “hanging out,” making the traditional days of “courtship” obsolete. Or, has it? However, the act of going on a date was more complicated than she thought. A combination of the prevalent “hook up” culture, as well as the preferred method of social interaction (texting), had all but obliterated skills of basic social interaction. And, so The Dating Project started, and her class quickly became one of the most popular courses at Boston College. The Dating Project Film comes to cinemas across the USA on April 17, 2018 as a special one-night event featuring an exclusive discussion with Professor Cronin. The film follows Professor Cronin and five modern-day singles (ages 20 – 40) in their own quest to find authentic love and meaningful relationships. By engaging in Cronin’s dating philosophy, many singles have found more fulfilling and lasting relationships. The documentary was created in partnership with Paulist Productions, Mpower Pictures and Family Theater Productions, and is distributed by Pure Flix and Fathom Events. “There is a huge gulf between single life and relationships in the United States. This powerful documentary is a reflection of today’s culture with a surprising look at how one woman is shifting it, one single person at a time. 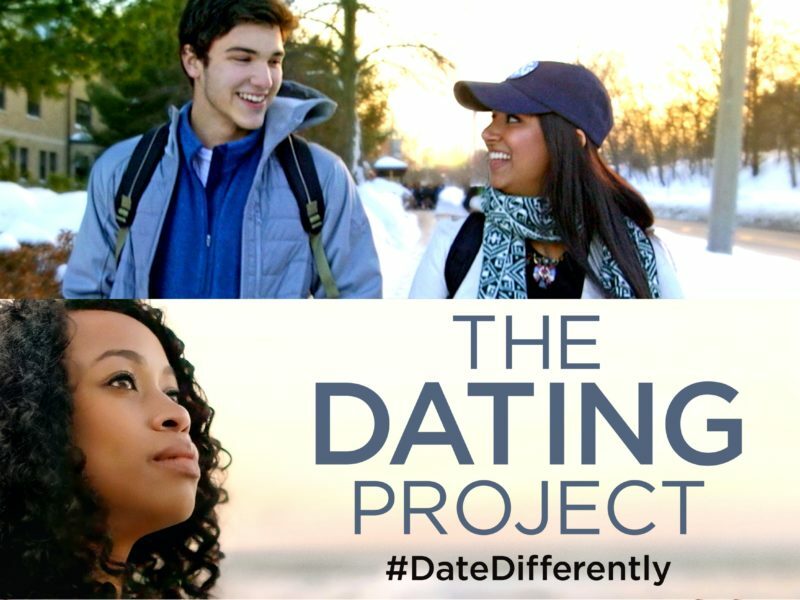 The Dating Project is a must-see, no matter what your relationship status,” said Michael Scott of Pure Flix. The Dating Project has already received acclaim from the Heartland Film Festival, the USA Film Festival, and the Downtown LA Film Festival.